To do lists shouldn’t take hours to set up, nor should they be complicated. Every second you spend setting up your task list and preparing for the work ahead is time wasted instead of getting out there and eliminating items from your schedule. You should be able to jot down your tasks, have just enough flexibility to work how you need to, and then get on with it. After all, isn’t the point of a to do list to help improve your productivity? Well, we here at Process Street decided to save you even more time by searching for a to do list template to suit all occasions. From general blank to do lists which are perfect for printing out and jotting down individual tasks, to templates helping to structure and track your entire week, or even the activities of a whole team. 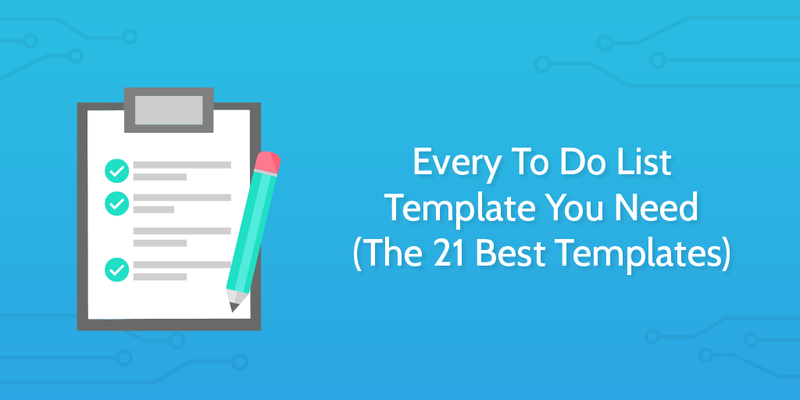 If you’re after a particular kind of to do list then feel free to search the heading you’re after and skip ahead, but otherwise strap yourself in and feel free to grab one or more of the following templates to organize your important tasks. 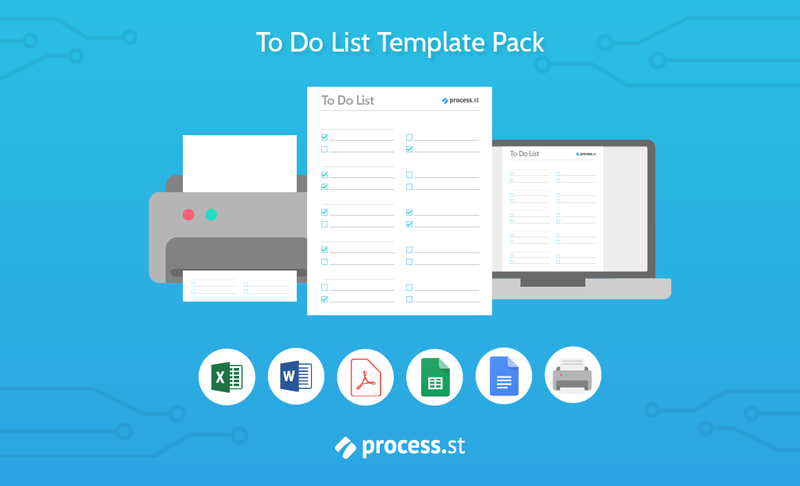 This pack contains the perfect to do list template for every occasion, with room to fully customize and categorize all of your major tasks. To make things even easier, we’ve made this template in several formats, including those for Microsoft Word and Excel, Google Docs and Sheets, and a PDF which is ready to print. Better yet, you can get all of them for free by clicking the button below! 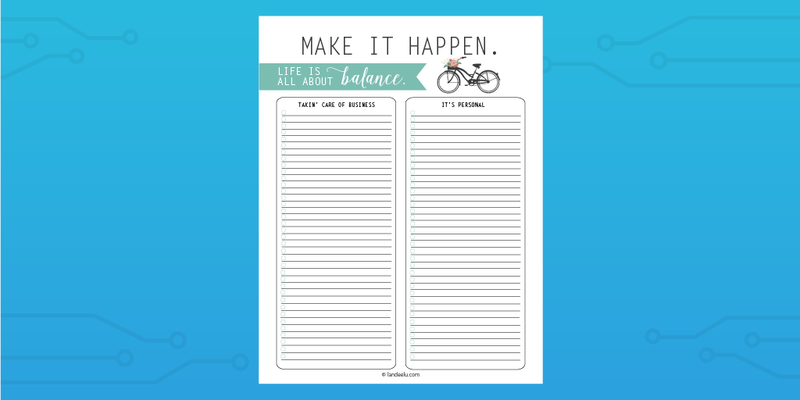 You can’t go wrong with simplicity, as demonstrated by this printable checklist. 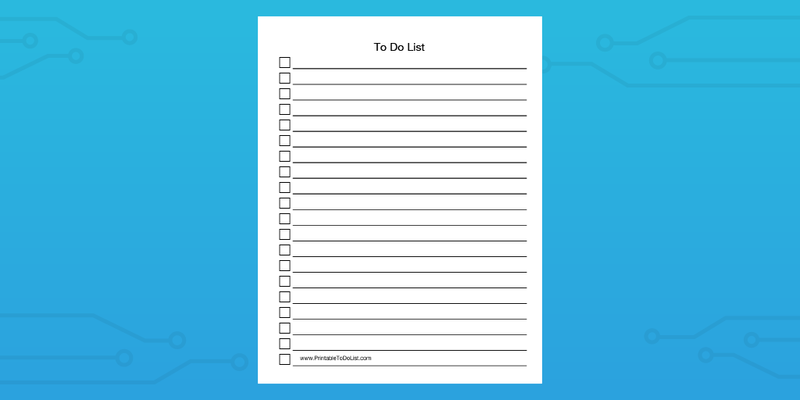 From Printable To Do List, this bland, yet effective to do list template comes as either a Word doc or PDF, and is fantastic for quickly putting your tasks to paper. 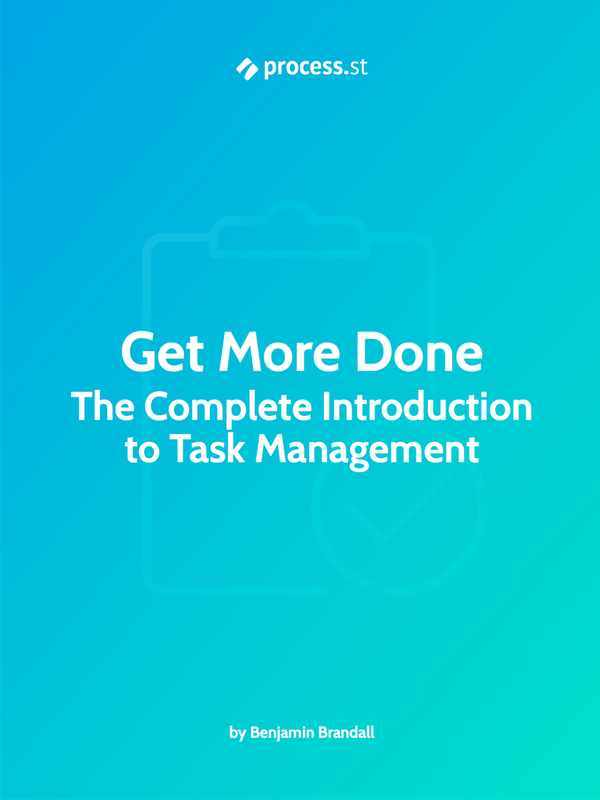 It even has empty boxes to tick off your tasks as you go along – no messy strikethroughs here. Landee brings a bit of casual, personal flair to the standard to do list, with a nice distinction between your work and personal tasks. All too often we get carried away and procrastinate in our personal lives without even realizing it, so having a separate list is a great way to get your goals down on paper and start achieving. 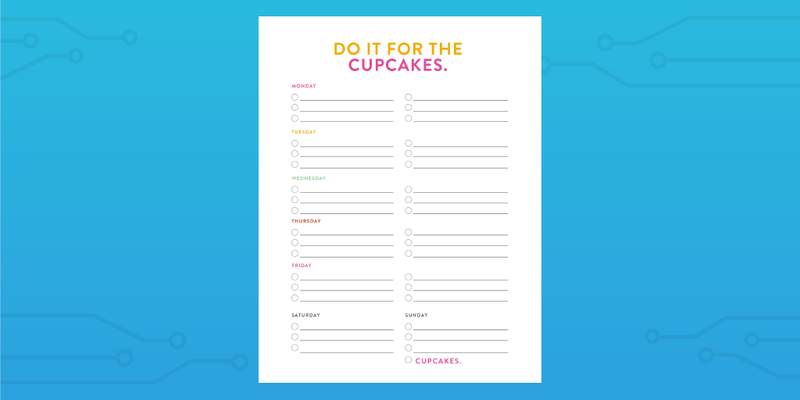 As with many others from Printable To Do List, this template aims for simplicity in helping you to get things done. 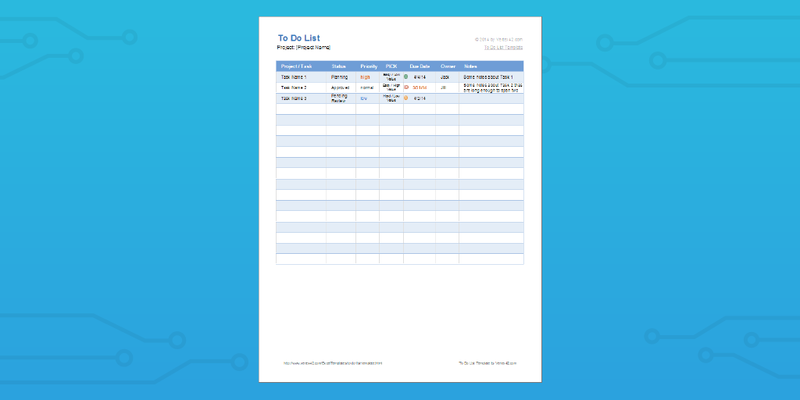 A minor variation on their blank to do list template from earlier, this template is once again available as a Doc or PDF file, and comes with a date column in order to organize your weekly schedule. 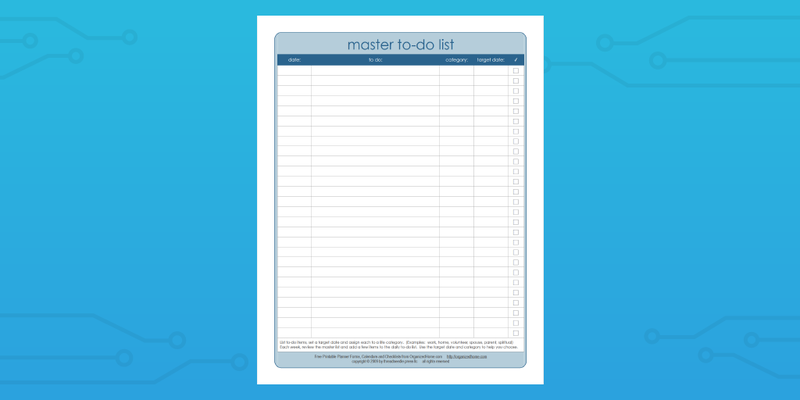 Whilst they have several free templates on offer, Organized Home have produced a to do list which is perfect for those who want a general purpose organizer to scribble down their pressing tasks. With the calming blue predominant in the design, you can take solace in the fact that, no matter how difficult a task may seem, it’s only a checkbox away from completion. Template.net have an advantage over some of our other to do list templates in that their rendition contains several columns to help users sort their general tasks. By separating what you need to do, who you need to call, and what you need to get (eg, a signed document or piece of information), you can more easily create an action plan which best suits your needs. Our daily to do list template achieves three key goals; it allows you to record the date, write out your own tasks, and record your progress as you go. Many entries in this list return to the idea of simplicity, and this template is no exception – it’s simple enough to prevent any distraction, but customizable enough to provide almost infinite uses. Another great way to plan out your day (albeit with a little more structure) would be to use our Daily Routine Checklist. This gives a little more structure to your day from the get-go, with a rough outline of how many highly successful figures (such as Richard Branson) go about their daily lives. Design Love Fest demonstrate the opinion of many (including us) with this checklist, in that they focus on the three most important tasks of the day, and get you to set out a strict time of day during which you will check your emails. 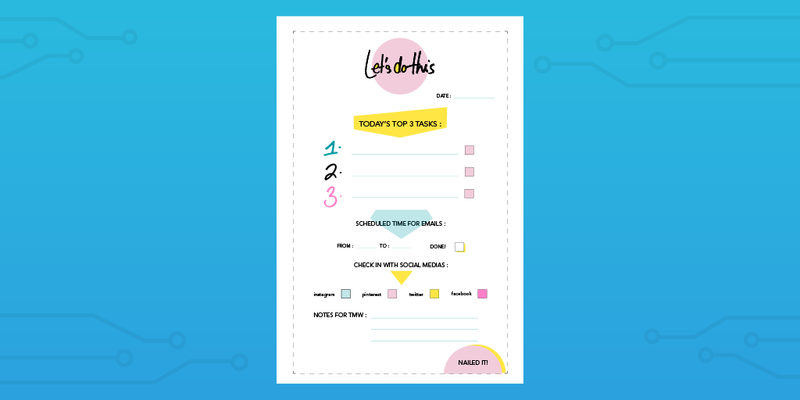 With bright colors and a more casual tone than the general to do list templates, this entry is perfect for those looking to take things one day at a time. Whilst this to do list is a hybrid of several of this post’s categories, it’s primarily designed to be run every day, hence its place here. Simple As That‘s daily to do list is best suited for those of you who like to plan out every detail of your day, from the time at which each task will be done, to which tasks are top priority, and even your daily diet. 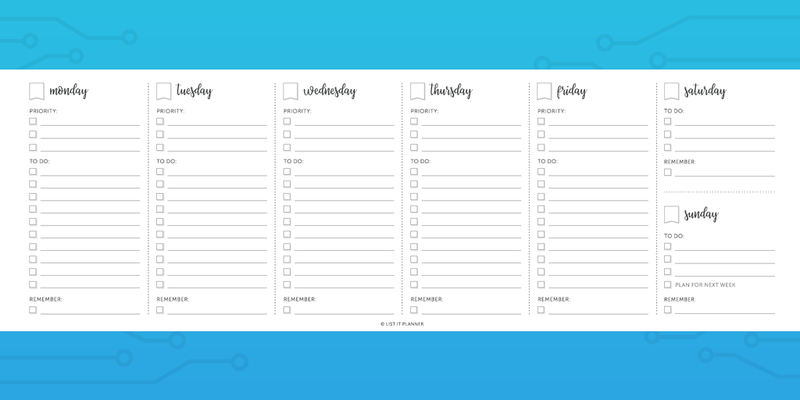 Tidy Forms offer a bit of a twist on your average daily to do list; their planner allows you to organize two days in advance, rather than just the one. It may not be the prettiest template on this list, but the flexibility to lay out your to do list for two days makes this a useful tool for those who find their tasks changing very little from day to day. As any of you who have been keeping track with our posts on productivity will know, everyone at Process Street loves the Pomodoro Technique. 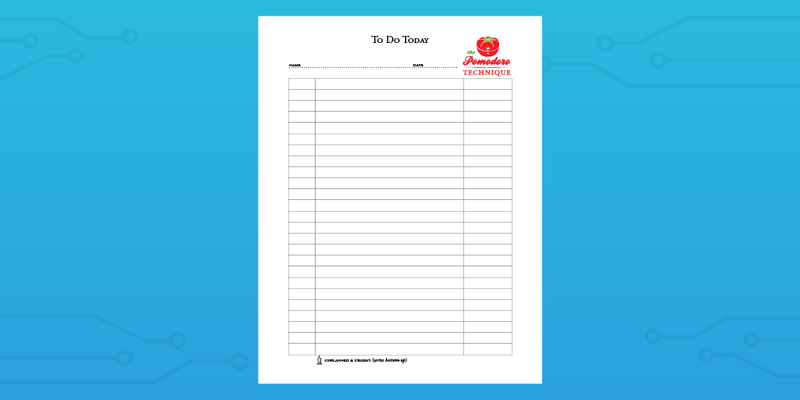 So, upon discovering a to do list on Forms Birds which has the tomato itself in the top right corner, with space enough for a day’s worth of 25 minute sprints, we couldn’t do anything but include it in our top pick of existing templates. Time for another entry with personality, this time from Glue Sticks & Gumdrops. 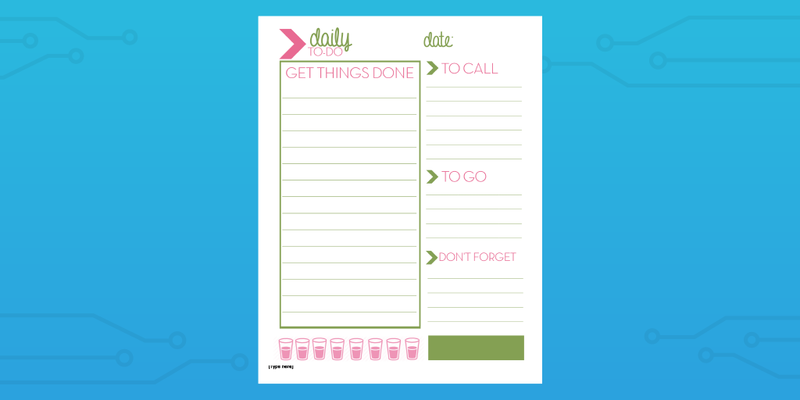 With headings that look handwritten, along with a calm green and eye catching pink color scheme, this daily to-do template gives you plenty of room to record your tasks for the day, prioritize those extra important duties, note who you need to call, and even get a reminder to keep topped up on water when looking at the bottom of the page. As with all Process Street templates, it’s incredibly easy to quickly jot down your tasks for every day of the week, and then record your progress using our app. Never worry about ruining your to do list with minor mistakes like ticking off the wrong task – you can instantly edit and update every instance of this weekly checklist, no matter how many times you run it. For example, you can take this weekly template, edit a few tasks to suit your needs, and proceed to run it as many times as you wish. Misleading name aside, Spreadsheet123‘s Daily To Do List is a great little template for organizing your week by laying out your tasks in plain English. With a section for each day (including the weekend), space for 8 tasks per day, and a checkbox for each task, everything you could ask for in a basic weekly template is here. Plus, it’s an Excel file, so it has a familiar layout for many users. Design Eat Repeat, much like Design Love Fest, have created a cute template for organizing your week. With space for 6 tasks per weekday (and 3 on Saturday and Sunday), it even comes with the bonus task of ‘cupcakes’ at the end of the week; a fitting end to a highly organized seven productive days. 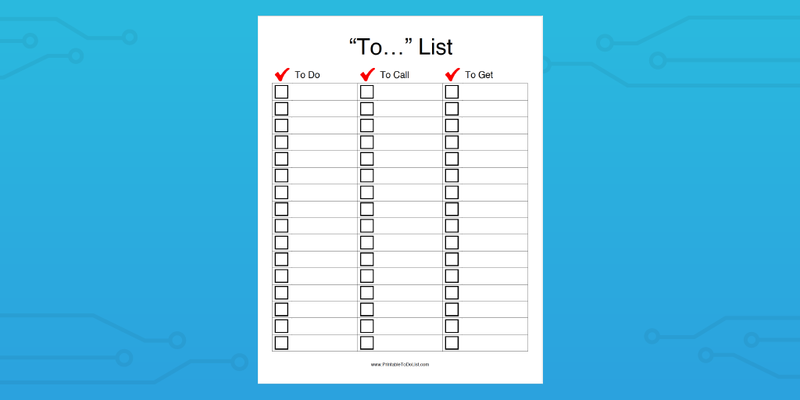 List It Planner is a fantastic website for anyone looking for a long-term to do list organizer. 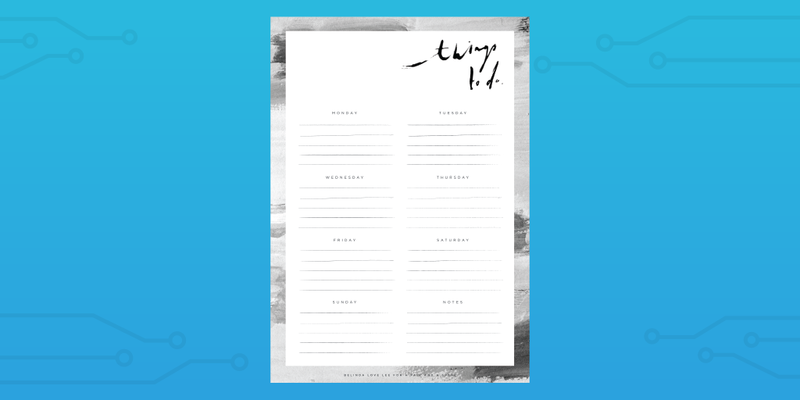 Their main product is a physical calendar split up into weekly to do lists which is perfect to sit on your desk and be to hand if you think of a task. They also have this simple but effective weekly to do list planner which is pretty much a single sheet out of their calendar. If you like this one, consider checking out the full product! Also, thanks to List It Planner for reaching out to us in the comments – this entry was created at their request so go give them some love. Going even more bare bones than the majority of this collection, A Pair & A Spare created this weekly to do list template with the aim of splitting up your long term goals into bitesize chunks for the week ahead. The minimal black and white color scheme also has a slight Patrick Bateman vibe to it, so there’s another plus. Much like Spreadsheet123’s earlier entry, Vertex42‘s Prioritized ‘Daily’ To Do List is, in fact, a template for you to plan out your upcoming week’s tasks. Whilst much here is the same as A Pair & A Spare’s minimal design, the benefit here is a simple start next to the first two tasks in each day, serving as a great way to help you mark which tasks are most important. By using a Process Street template, you can assign any member of your team to the tasks they need to get done, by inviting them to collaborate on any and all checklists you run. However, for the sake of a purely team-based to do list template, we’ve created our own which you can use to record the tasks you need to get done, along with the team member responsible for each task. 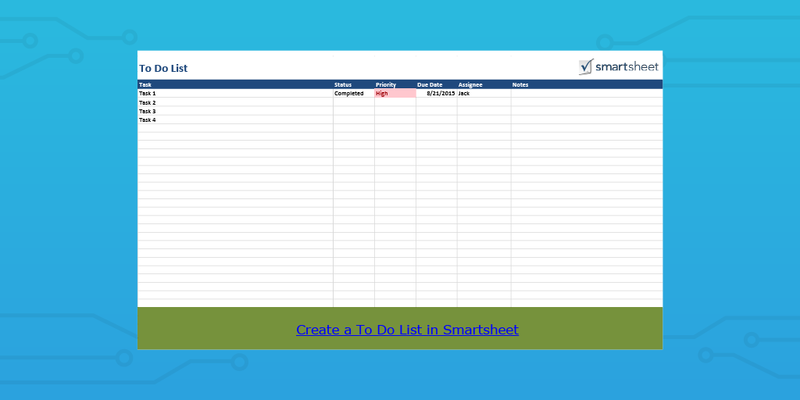 Whilst this will require you to boot up a 30 day trial period with Smartsheet to reach its full potential, this to do list is nonetheless impressive with its ability to organize the rest of your team through assignable tasks. Working much like Excel, each row represents a single task, with columns for the task’s name, state of completion, due date, and assigned party. Another entry from Template.net, this team-based task template is great for those of you who love to track everything using spreadsheets. With space to assign tasks to team members, record due dates, and more, this to do list template is only held back by the difficulty in setting up an effective task list quickly. Chandoo.org have created an ingenious (surprise, surprise) excel template, with a separate tab in which you can put in the members of your team. Doing this will let you select from said team members using a dropdown field in your main tasks tab – you can assign team members without having to type a thing! What Is Your To Do List Of Choice? Much like our best productivity apps, remember to only use one of these to do lists (or, at most, one from each category) in order to avoid getting bogged down with unnecessary tools. Better yet, if you find these to do lists lacking, grab them as a basic template to work off and customize to your needs. Have any to do list templates of your own that beat the pants off of our selection? Mention it in a comment below, and you may well see it added to this list, or as part of a future post. Update: We’ve been notified of some really good templates over at Someka, check them out! Good one! 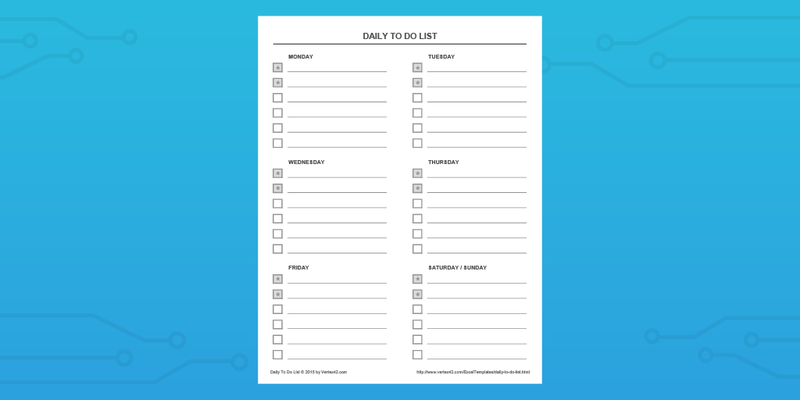 Please visit https://betapage.co/startups?search=to+do+list to check more of the TO DO LIST TEMPLATE. Wow, great list here. Just what I was looking for!! Cheers Kelly – happy I could help! Out of curiosity, which did you end up going for? I loved this site I found the perfect to -do list like you said it shouldn’t require a lot of thought but; I knew what I needed and found it here. So thank you so much. Glad I could help, and all the best! I am a counselor and these will be most beneficial in planning my caseload. Hi, great article, thank you! I couldn’t find a to do list with enough automation, so I’ve created one on my own. You can see it on http://enginexcel.com/free-material if you like. In my opinion it is very effective. Any comments are appreciated! Also, have you tried using Zapier? It’s a great tool for automating your processes and it’s pretty simple to use. Excellent array of To-Do list templates. As a aspiring project manager and passionate blogger, I have created one Excel based To Do list template. Yes I know, you have already included one above but what makes this template different from other is its features – indication of the task status with the task indicator i.e RAG status of project. 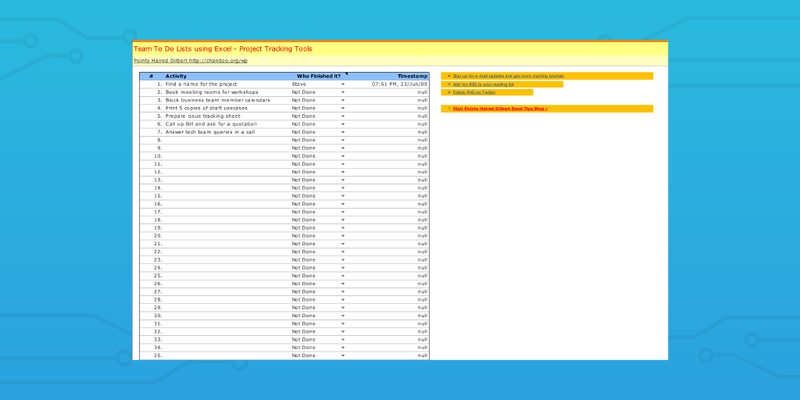 Secondly, Can handle up to 10 projects and each task can have project, priority, status and due columns. You can read more features at- http://www.techno-pm.com/2016/09/excel-to-do-list-for-project-managers.html and download it for FREE. Thanks for the kind words Megan. While we’re on that topic, would you mind if I maybe included it in this list? I’ll be sure to link back to the original source and give you full credit, of course. thanks for sharing Great Article. I loved this post. I use to DO list many ways. Great to hear it; it’s always nice to hear that this is helping someone out. Mind me asking what you use to do lists for? Knowing how you use them helps us pick topics and create content that’s useful to you, so it’s helpful to get any feedback where we can. 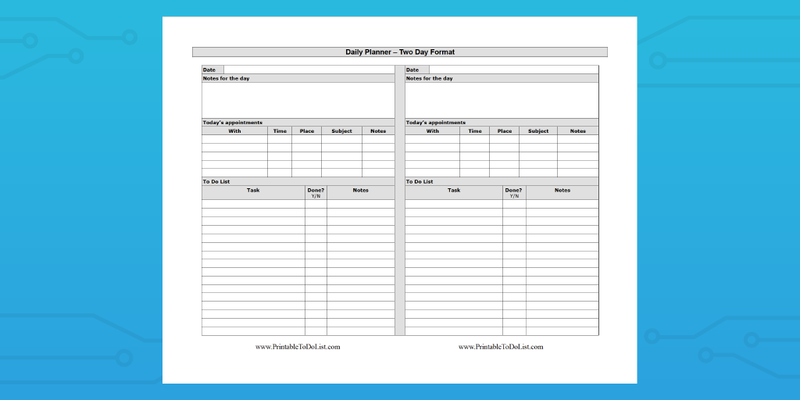 I’ve gone ahead and uploaded the free version of your planner with links back to you. I also love the look of the to do list calendar (the full product) that you guys are doing, so I’ve told everyone to go check it out. Glad to hear you like it Nora! Is there a particular one you’re using to get things done? I’d love to know so that we can focus on the things you like and find useful in future! Good day, under what license is this templates? My pleasure – it’s always worth it when I hear that it’s helping someone out. Are there any other resources or topics you’d like us to cover? I’d love to hear from you if that’s the case – the more we can help the better! Thank you for your Grace, in providing these important “to do” worksheets!